3 April 2013 marks an important date for Starcraft II, and perhaps only the release of Wings of Liberty is greater than this. A new integrated individual league format had been announced today in South Korea. World Championship Series is a new individual league tournament developed to provide a structure for players around the world to compete in one integrated league. Although it is ultimately a single tournament, there are three leagues being played concurrently across three regions around the globe, namely Korea, America and Europe. 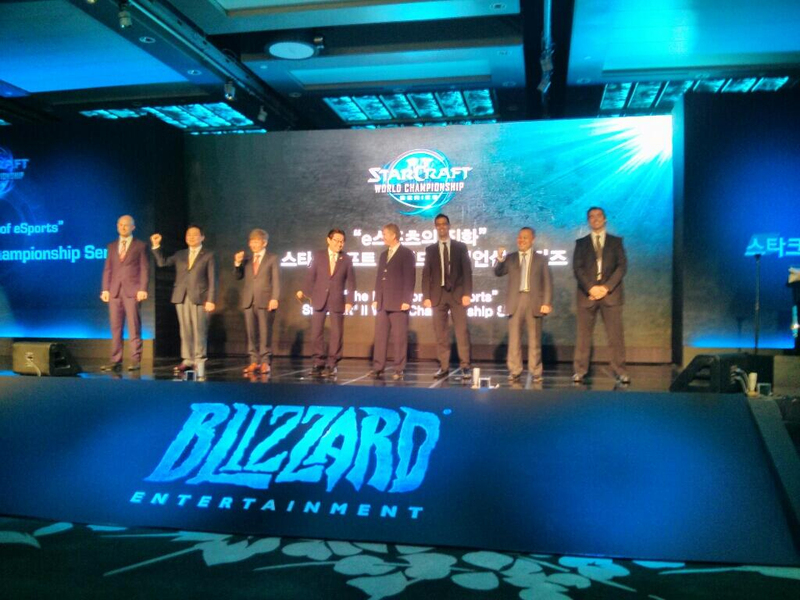 This is a partnership between Blizzard, KeSPA, GomTV, OnGameNet, Major League Gaming and Turtle Entertainment. OnGameNet (OGN) and GomTV will work together for WCS Korea, and hence, OSL and GSL are now combined. OSL and GSL will keep their respective branding and structure. They will take turns to host the event, with GSL running the upcoming season, and OSL running the subsequent one. 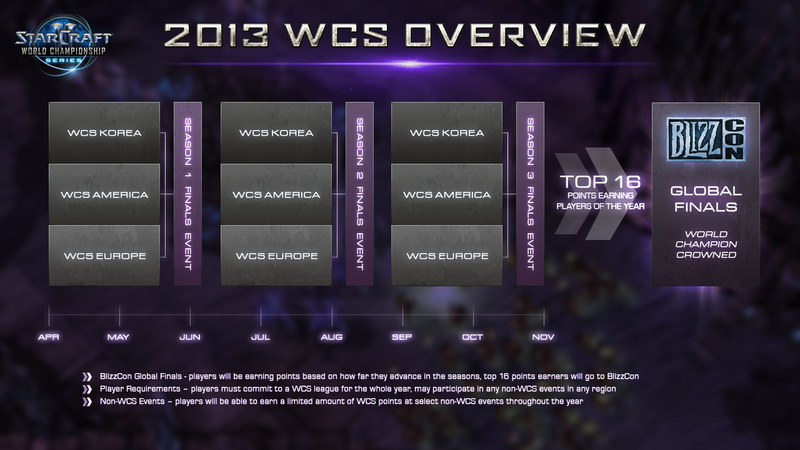 Major League Gaming (MLG) and Turtle Entertainment (ESL) are responsible for WCS America and WCS Europe respectively. Blizzard has partnered with Twitch.tv to broadcast the whole year for free in 720p, with ads. The top five players of each region will qualify for the season final. The host region will have the privilege of having the 6th player in the season final, which makes up the 16 final players. Based on an unified point ranking system, the top 16 players of the three seasons will play in the Blizzcon Global Finals in Anaheim, California. WCS regional league adopts the same Code S/Code A/Up & Down hierarchy format, but the names will be changed to Premier/Challenger/Qualifier accordingly. Players are not restricted to play in region based on their nationality. That is, Korean players can play in the America or Europe league. However, once a player has chosen a league region, s/he is locked in the region. Korean players can change their region after the first season. The following is taken from Team Liquid. Q: What happens to OSL qualifiers/dual tournament system? Mr Chae: Code A/DualTournament/etc have been combined into the “challenger league.” It format is the same as Code A/Up-Downs. The qualifiers into the challenger league will be the same format as old Code B.
Q: Korean players might have trouble earning WCS points in OSL/GSL. They might compete in EU/NA and sweep those regions. What do you think? Mike Morhaime: We expect this will happen to some degree, and it will have a positive impact on the rest of the world. Having some amount of Koreans competing in NA and EU will raise the excitement factor and competitive bar without having a negative impact. Q: How will the the Korean broadcasts work for OGN/GomTV? 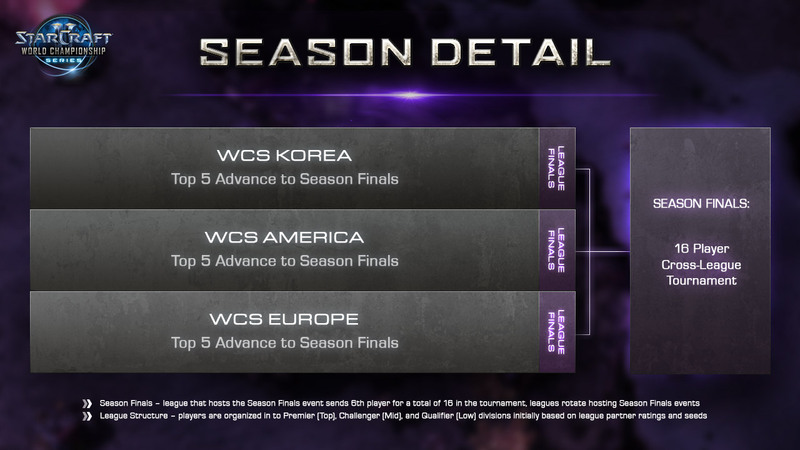 A: The two broadcasters will take turns holding the WCS Korea tourneys. OGN will receive feed from GomTV, but use their own casters. In reverse, GomTV will receive OGN’s feeds and use their own casters when OGN runs the studio. Doa and montecristo to do casting for OGN, Tastosis for GSL. *Artosis said they won’t be on site at OGN’s studio for the OGN run season. Q: How will the three seasonal finals works? A: Top five players from each region will play in each seasonal final, +1 more player from the hosting region. Q: Why hold only have three regions? Mike Morhaime: Looking at expanding in the future, but have to start somewhere. We are starting in the three most developed regions. Q: Can you clarify the challenger league format, and comment in more detail about the prize money? Mr Chae: Code A/Up-down format is the same, just named ‘challenger league’. Same in the OSL run season as well. There will be about $1.6million overall prize money, which is 3 times what was given out last year. Q: How was the broadcasting rights/fees situation resolved? Mike Morhaime: All of the partners have received licenses. The exclusivity period has ended. Q: Any details on how WCS points are given out? Mike Morhaime: Additional details about WCS points to come later. Q: How will the team leagues/PL fit into all of this? Mike Morhaime: We will accommodate their schedules, but no points for team leagues for this year’s season. The involved organisers are allowed to host non-WCS events as long as the schedule does not crash with WCS. 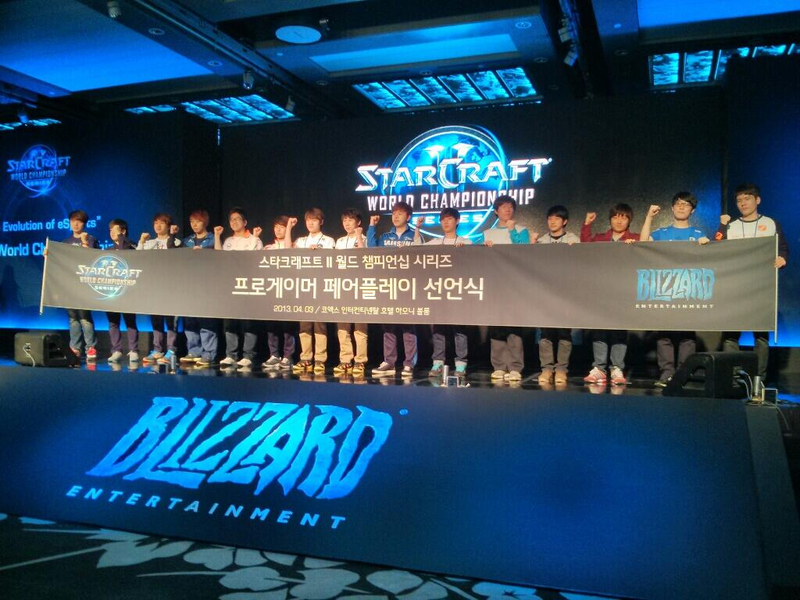 Players are allowed to participate in non-WCS events outside of their WCS region. Players can earn up to a limited WCS points for selected non-WCS events. Team leagues such as GSTL and SPL will still be operated independently.